Recently I’ve found interest in an old school medium of book and article reading, even though its old but still got its charm. It literally helped me gain more knowledge than ever before in past sometime. This medium is Audio! by the mean of Audio books & Podcast. While commuting or going for a run, earlier I used to listen to all types of music. But recently after reading an article from a guy who works at buffer. He shared amazing routine of his where he listens to audio books and podcasts while running or commuting. Here is a brief of the reasoning he gave. His words gave me a reason to stop and reflect on my daily routine. Lately I’ve started 3 new books and have put many articles in my read it later app. But yet I’ve not made any significant progress in that front. Not because I’m too lazy, but because my day job and workout routine leave me rarely any time for reading books and articles. So I tried to think, where can I cut some slack and add myself some reading time? That’s where the power of this audio medium crossed my mind. I commute 6 days a week for one hour and then go for running 5-6 days a week for 30-40 minutes. So totally I’ve go 550 minutes a week on an average! That’s more than 9 hours a week where I can but finish my books and articles. 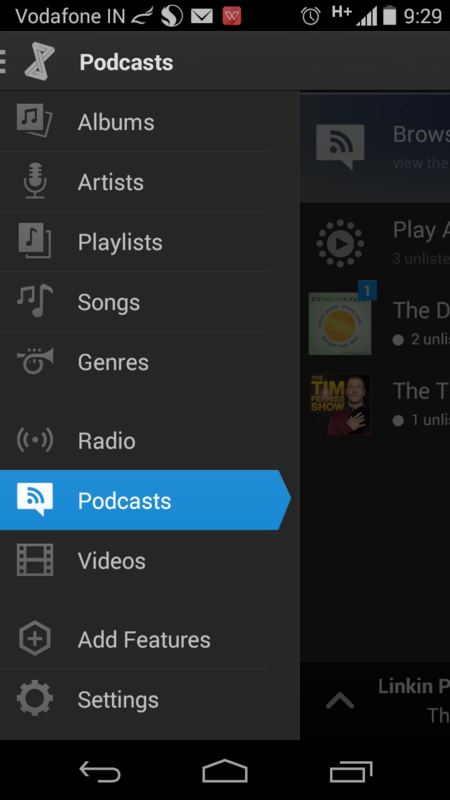 DoubleTwist (Android) – Its a music player for android. But it has a unique feature of organizing and playing podcast. Podcast is like TV series episodes. Its aired as soon as a new one comes out. 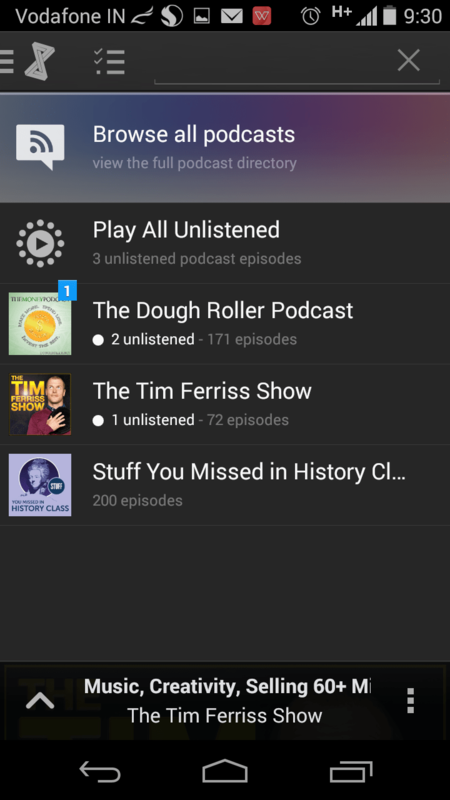 This app gives you notification about the new and unlistened podcasts for the one’s you have subscribed. You can download it over WiFi for offline listening, which as per my experience is the best way as mobile data isn’t 100% reliable. You can listen to it online as well. But remember, streaming podcasts can put a serious dent on your mobile data plan. 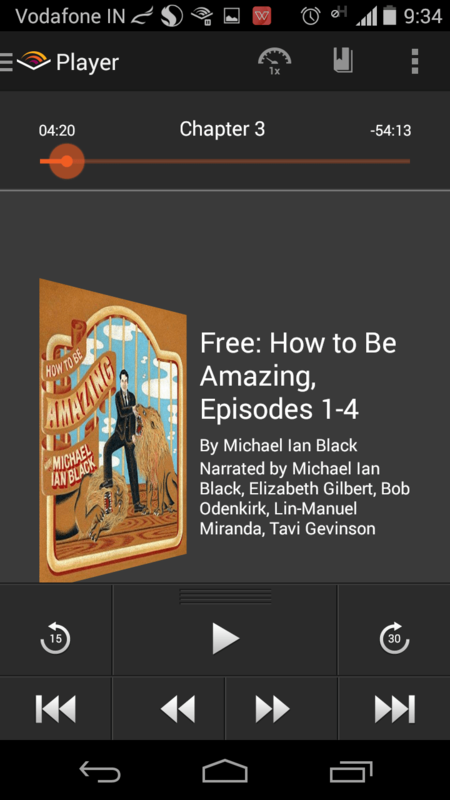 Audible – This is the best audio book service out there. If you are a kindle eBook reader, you get even more benefits. Amazon’s whisper sync technology allows you to seamlessly switch between eBook reading on kindle to audio book listening on Audible. There are more than a million Audio books on Audible. Though its a little expensive service from Indian perspective. 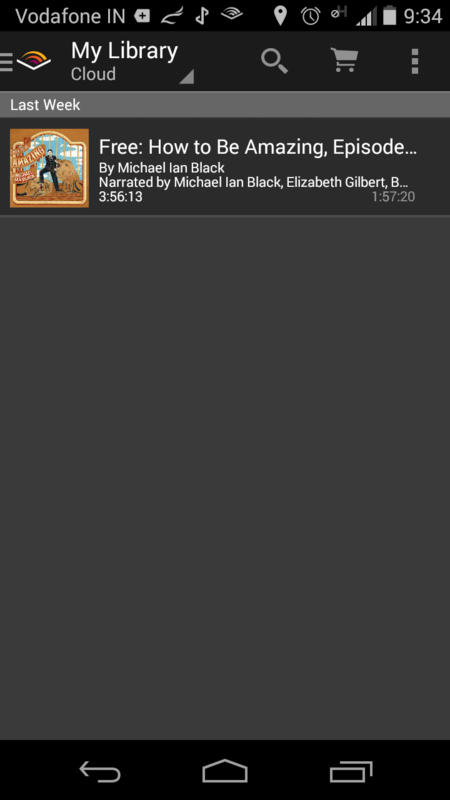 But trust me its the best quality experience you can get in term of Audio books. Plus it has some cool features as well. 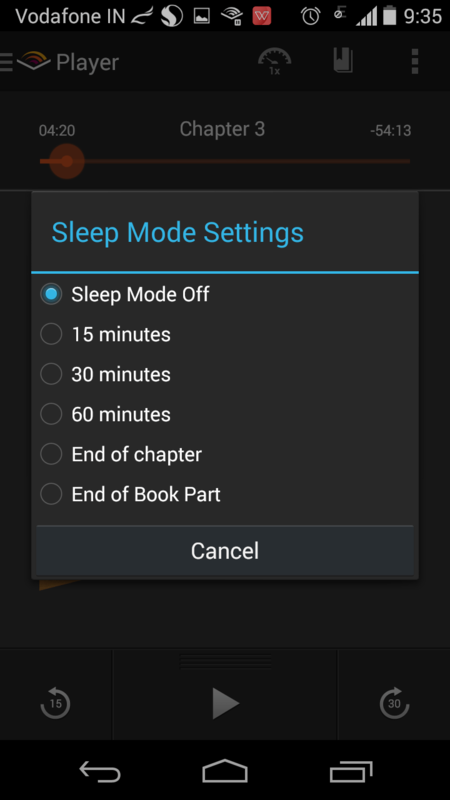 For example: Customizable dedicated button for forward/backward in seconds and a sleep timer function. After adding this habit of listening to audiobooks and podcasts to my daily routine, I’m now able to take my reading/listening to a whole new level. This medium is way too interesting, if the narrator is good. It takes your worries about your day job, family situations away for sometime. It takes you to a whole different world, where you find yourself immersed in the characters from the book or the podcast. But eventually, consistency is the key to make reading, listening or as the matter of fact any practice, a habit. Take little steps toward any new habit and slowly increase your efforts as you go up. You’ll be amazed with the power of slow gains, because they sustain. Do you listen to audio books or podcast? I’m sure this medium has a bulk of audience already and consistently increasing in number. What are your experiences? Any hacks to this medium you want to recommend?